Free Valentine’s Day Printable for Kids: Super Cute & Nerdy! 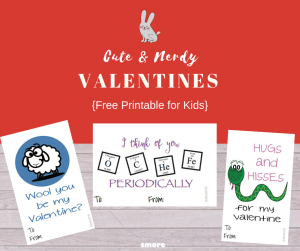 Home » Free Valentine’s Day Printable for Kids: Super Cute & Nerdy! 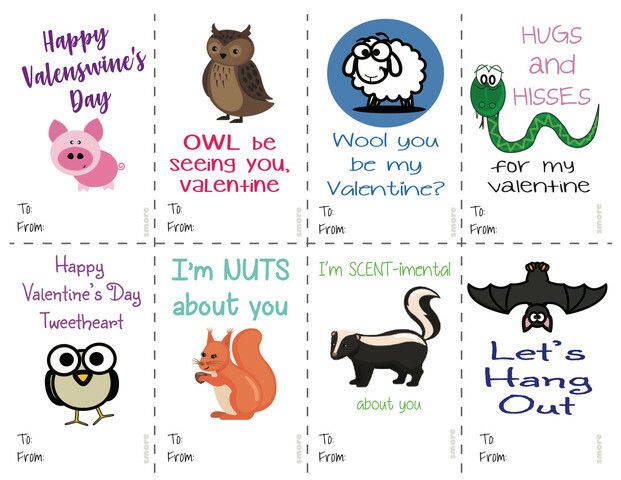 Looking for cute and nerdy cards to send with your kids to school this Valentines day? We have the perfect ones for you! Plus we are giving them away to you for FREE! So go ahead and print as many as you need. Give out these super cute animal cards paired with a little healthy snack or non-food items (pencils, glow sticks, etc) and win kid hearts and parent hearts! Another way to use these cards would be to add them to your little sweetheart’s lunch as a note. 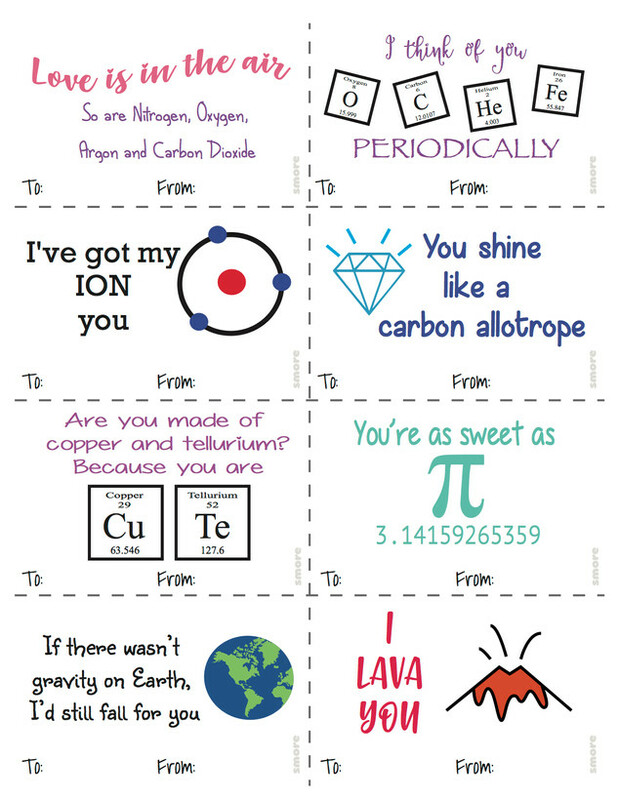 We also could not resist creating these adorable science-themed valentine cards perfect for the science-nerds in your life. For best results print them on white cardstock paper using a color printer and cut them along the dotted lines to give 8 individual cards per printable. Enjoy our Valentine’s Day printables for kids and let us you how you used them. Share the love and these printables. Tag us on Instagram (@smoremagazine) for a chance to be featured.